Non Domina Sum (I am not a lady) is part of Coniglioviola’s videoart anthology “Recuperate le vostre radici quadrate”: an electronic tribute to Italian divas of the 80s. The video is based on the reprise of the song “Non sono una signora” (I am not a Lady) by the Italian rockstar Loredana Bertè, who takes part to this video. 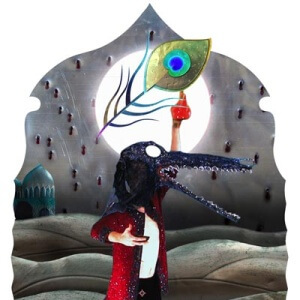 The short movie combines queer philosophy and Renaissance aesthetics, pop mythology and religious iconography. The protagonist of the video is the Virgin Mary, who proclaims, in a “feministic” way, her status of “miss”. costumes: Monica di Pasqua e Federica Genovese. the song is produced by Dario Tamburro / L’Evoluzione. 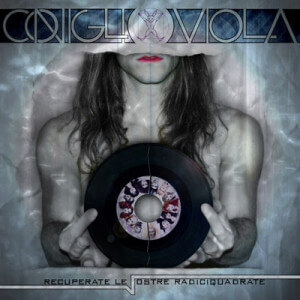 Recuperate Le Vostre Radici Quadrate is available on iTunes.